The Moses D. Heath Farm welcomes anyone and everyone who would like to volunteer their time, their service and/or their expertise to further this eternal endeavor. If you, your friends, your group or club, or your church would like to get involved and volunteer, please contact Walter Spradley at (732) 671-0566. Ground was broken yesterday for the Clinton P. and Mary E. Heath Center at the Tatum Park Activity Center in Middletown which will serve as a memorial to all races and religions of Monmouth County and will pay tribute to the values of work, church and family. Plans call for a large multi-purpose room with a permanent display area as well as rotating exhibitions celebrating the Red Hill Community of the past. Groundbreaking ceremonies were hosted by (Left to Right) Walter S. Spradley, Bertha C. Heath, (who made a large contribution toward construction of the center which memorializes her parents, George S. Spradley, and Susie M. Spradley. 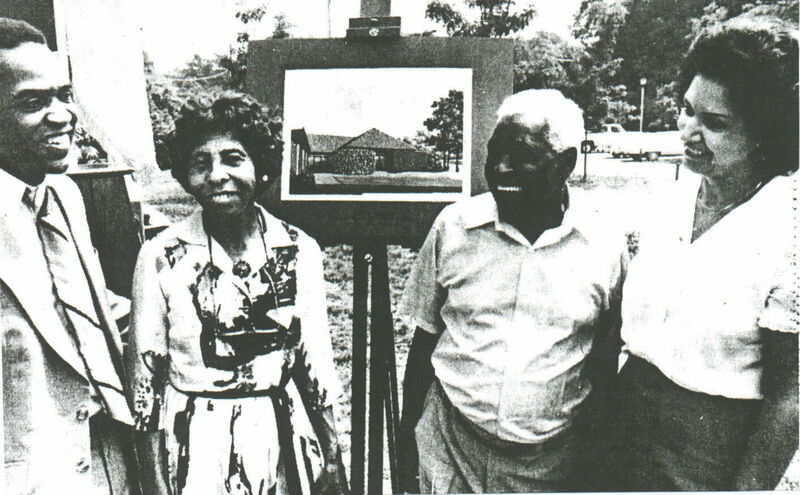 Today in the Year 2000, Bertha C. Heath is deceased; Her dream cultural center has graciously honored her parents and has escalated the awareness of Black History in Monmouth County and in America; and both Walter and Susie Spradley continue the Heath Family legacy at the Moses D. Heath Family Farm at 291 Harmony Road in Middletown. Breaking Ground at the Clinton P. and Mary E. Heath Center on Red Hill Road in Middletown Township, New Jersey. --All Organized Groups, Clubs, Etc. --Education (Farm Life, Horticulture, Spy House, Etc.